If the mere mention of a thrift shop brings to mind dusty, windowless shops packed with an overwhelming assortment of parachute pants and go-go boots, it’s time to reconsider. 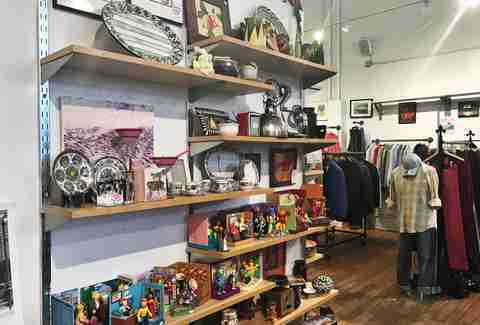 New York City is home to a staggering array of thrift shops, ranging from intimate vintage boutiques to massive warehouses with antique and gently used furniture. For people who are a bit wary of the whole “someone else wore this before me” exchange, there are even thrift shops that exclusively sell items that have never been used. These stores are great places to score rare items and designer clothing at steep discounts, and to give back or earn a little money yourself. 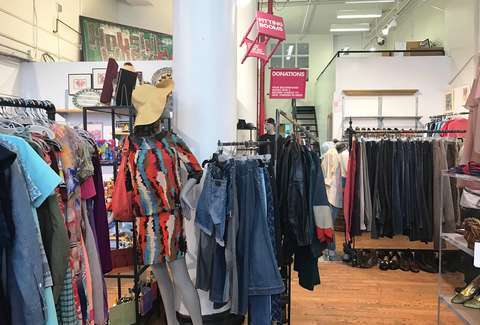 Shops like Housing Works donate proceeds to help the community’s homeless living with AIDS and HIV, while others like Beacon’s Closet, give cash back or store credit in exchange for your gently used garments. Husband and wife duo Rachel and Stephen Coopers (the latter of whom was a regular vendor at the Chelsea Flea) sell antique and vintage pieces, as well as a mix of cheap costume jewelry and keepsakes (14 karat pocket watches, 19th-century belt buckles), from their Chelsea storefront. Around the corner, in a refurbished carriage house, Pippin Home sells an assortment of midcentury modern furniture and art deco finds. You’ll have to rummage through an assortment of old VHS tapes and secondhand books, but you’ll be rewarded with tons of good-condition name-brand clothes and shoes at this genuine consignment shop in Queens. Best of all, everything here is actually thrift-shop cheap -- expect to spend $20 or less. 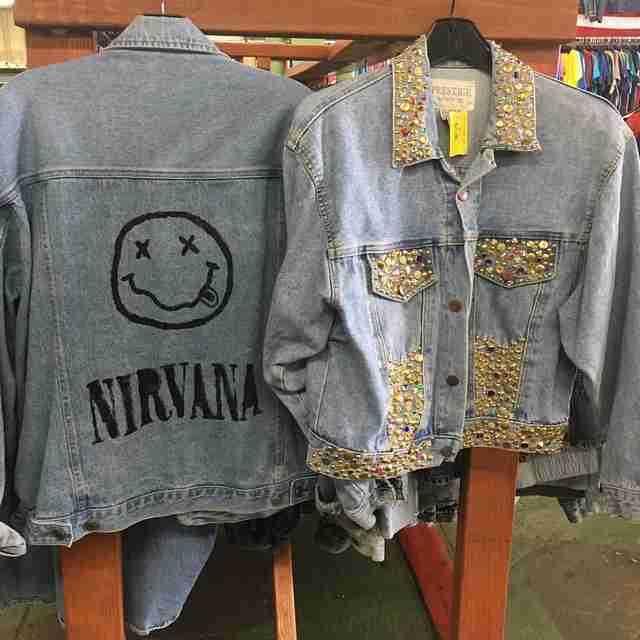 All your flannel, leather, and distressed denim dreams can come true at the new L Train Vintage outpost on Grand St in Williamsburg -- one of the company’s seven locations around the city. Here you’ll find everything from a Knicks windbreaker to a jean jacket emblazoned with the Ford logo to oversized army jackets -- many of which are gender neutral and carried straight from the late ‘80s and ‘90s. With multiple locations across Brooklyn and Manhattan, it’s easy to drop by Beacon’s Closet and find leather shift dresses by Vince for $55 and Nikes for $35. It’s also a great place to clean out your closet and make some easy cash (or store credit, which is often double the amount you’d get in cash). Ultra-feminine dresses (like a $72 gingham boucle number) are the main focus at this Flatiron vintage shop. Owner Shareen Mitchell also shows a by-appointment bridal collection, known for like-new and one-of-a-kind white gowns. Don’t come here for anything contemporary... or older than the 1950s. At Rue St. Dennis (named after the Parisian street) every item is hand-picked from shuttered factories and stores in the US and Europe, with an emphasis on clothes from the '60s and '70s. Nothing sold here has ever been worn, but the collection is not as cheap as genuine second-hand goods, either (a 1970s knit men's blazer will set you back $125). In addition to womenswear, menswear, books, and housewares, Housing Works auctions off a wide variety of artwork, decor, and furniture. 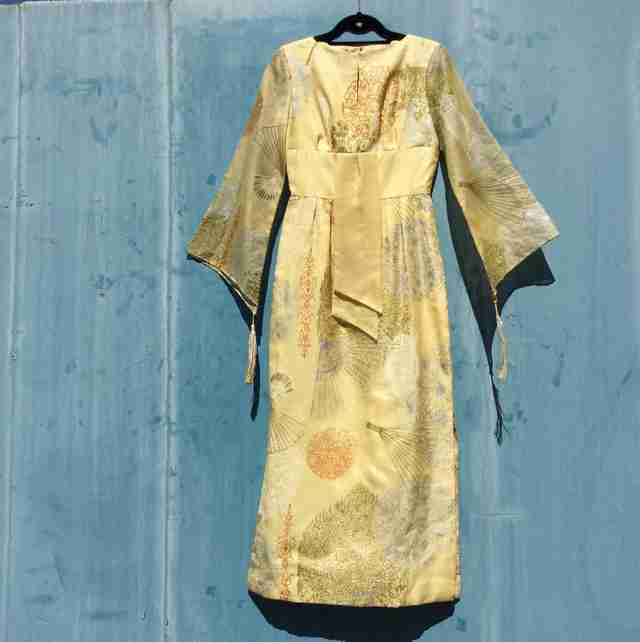 Bid on things like a handwoven kilim rug, traditional Kabuki illustrations, or a legit midcentury mirror. Proceeds from all sales go to help homeless communities and New Yorkers living with AIDS/HIV. Stock Vintage founder Melissa Howard still personally scours the country for American menswear pieces, as well as decorative ephemera. Expect work boots, leather jackets, silver rings, and other pieces that give the entire place a rugged, new-world feel. The next time you’re looking for new furniture, skip IKEA and head to Greenpoint’s RePOP instead. Danish modern dining chairs and storage towers, midcentury dressers and credenzas, and mod chrome table lamps are all available, ranging from collector’s items (very, very expensive) to just-as-affordable-as-disposable-IKEA-flat-pack-furniture (like a quartet of Arthur Umanoff-style barstools for $350). 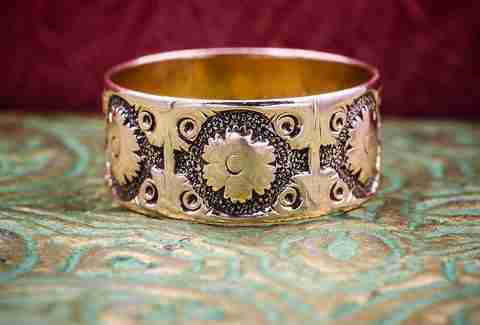 Melanie Taryn Lieberman is a New York-based writer and editor who gets most of her vintage jewelry and clothing from her mother’s closet in Connecticut. Showings are by appointment only.